Millions of working adults and self-conscious adolescents want to get straighter teeth, but they can’t imagine facing the world with a mouthful of metal braces. Thanks to our cosmetically-focused orthodontic treatments, they don’t have to. 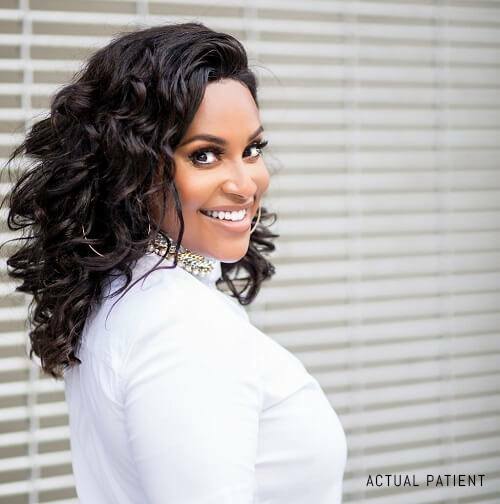 Dr. Alex Naini can offer you treatments that won’t just give you the straighter smile you’ve always wanted, but they’ll do it in such a way that you’ll never have to worry about your appearance during treatment. In the end, the only thing people will notice is your beautiful results. You’ve read that right, instant orthodontics! It no longer takes months or years to straighten your teeth! This method works by placing porcelain veneers over slightly misaligned teeth to make them appear straighter. With this approach, you can see final results in as little as one month. That means, before you know it, you can get a perfectly straight smile without any of the waiting or hassle. Invisalign is a revolutionary orthodontic treatment that will enable you to straighten your teeth without altering your daily appearance. It uses clear plastic aligner trays as opposed to brackets and wires, and they’re practically invisible on the teeth. That means you can go to work or spend time with friends and not have to worry about them noticing your treatment. Plus, the trays are easily removable, meaning you won’t even have to alter your diet or daily habits in order to get the smile you want. If you’re tired of hiding your crooked, crowded, or gapped teeth every day, our orthodontic options are just what you need. We’ll make sure your teeth are perfectly straight, and you’ll even look great while we do it. If you’re ready to finally get straighter teeth, please contact us today.